Very Good. Pinkie Pie and the Rockin' Ponypalooza Party! 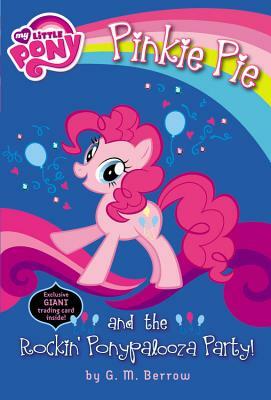 (My Little Pony (Little, Brown & Company)) by Berrow, G M. Trade paperback (US). Glued binding. 127 p. Contains: Illustrations, black & white, Illustrations, color. My Little Pony (Little, Brown & Company). Intended for a juvenile audience. Good. Pinkie Pie and the Rockin' Ponypalooza Party! (My Little Pony (Little, Brown & Company)) by Berrow, G M, 2013-07-02. Trade paperback (US). Glued binding. 127 p. Contains: Illustrations, black & white, Illustrations, color. My Little Pony (Little, Brown & Company). Intended for a juvenile audience. All Editions of Pinkie Pie and the Rockin' Ponypalooza Party!